Ibiza Modern Freestanding Double Slipper Bath - Only £595.99! In stock now for just £595.99 including VAT! Hurry while stocks last! Bring the warmth of Ibiza in to your home with this superb Modern Freestanding Double Slipper Bath. It is especially shaped to allow a luxurious bathing experience on either side of the bath, allowing you to relax in whatever way is most comfortable to you. Made from the highest quality acrylic and designed and shaped for maximum warmth, luxury and relaxation, this stunning modern bath is the perfect centre-piece for any bathroom. 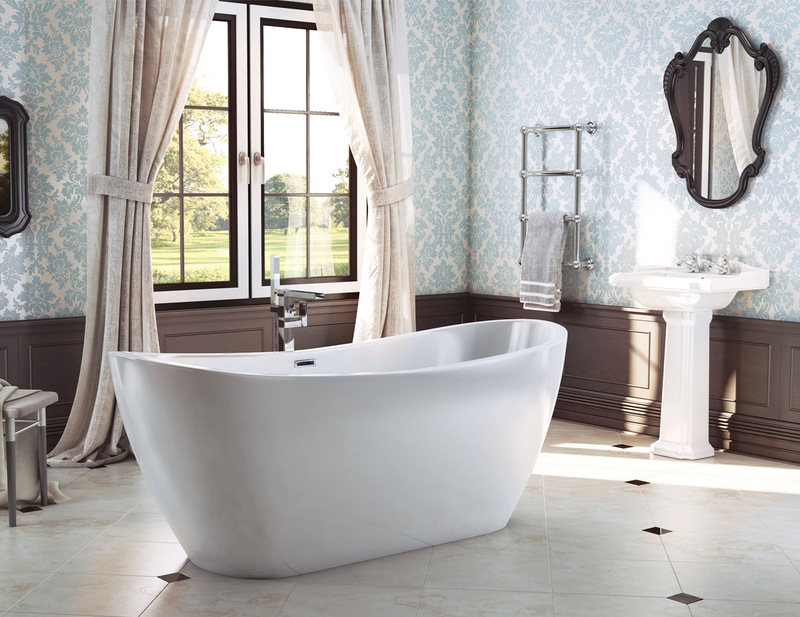 The Ibiza Freestanding Double Slipper Bath is perhaps the most stunning, eye-catching and great value bath available today. Review: Once in stock item delivered very quickly. Good communication throughout.